Ask The Master: When I am playing a thin cut from across the table I cannot seem to increase my potting success. It feels like I am guessing on the line these shots for some reason and cannot seem to get a confident line. Do you have any advice on how to increase my making percentage for these shots? I think it's natural that you're experiencing this difficulty. Extremely thin cuts require extreme accuracy. 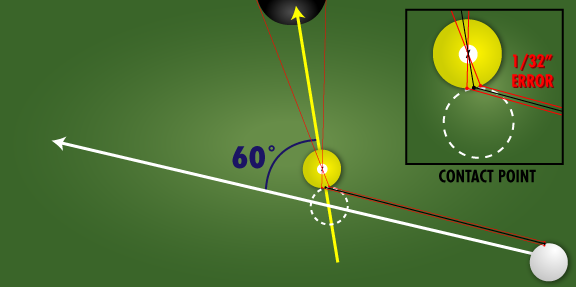 As the cut angle approaches 90 degrees, the difference in where the object ball goes gets larger for the same amount of error. 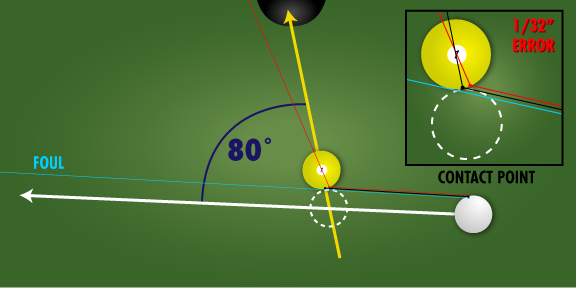 In other words, a 1/32" error on contact with the OB is a much bigger error on an 80 degree cut than on a 60 degree cut. Frank Says: "Developed by Mike Massey and Joe Tucker The Aiming By Numbers Method will help you "become much more accurate, consistent and confident" to overcome your training plateaus!" 1. Do something else. Bank or play safe. 2. 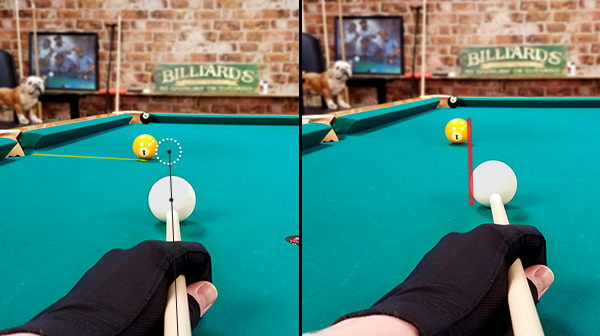 I know this sounds like heresy, but try shifting your head toward the inside of the shot so you can see down the line of the edges of the CB and OB. How much are they overlapping? Does it look right? This is a second opinion, arising from giving your brain an additional perspective. 3. Some players like to shoot extremely thin cuts with inside english. This moves their eyes (and judgement) closer to the line where the ball/ball contact will occur. 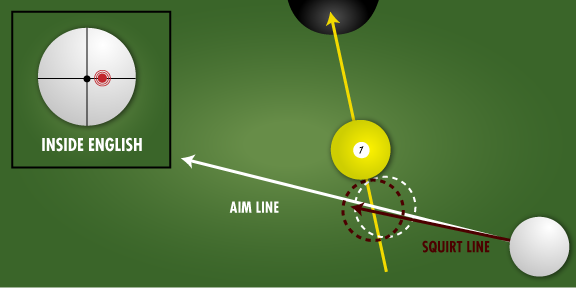 Also, they can aim more into the OB, since squirt will make them cut thinner than the aim. 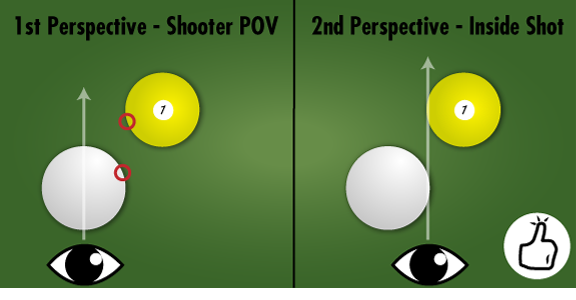 Conversely, some players like to shoot these with outside spin, since squirt is going to help assure that they don't wiff the ball. 4. Recognizing the difficulties, really take these shots seriously. Be as precise as you can possibly be. Make the ball and accept the position you get.